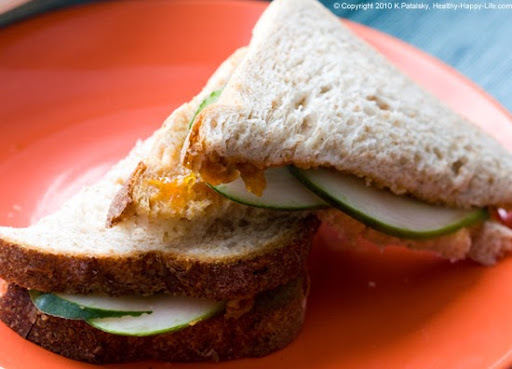 Pink Salt Cucumber PB&J 'wich. And some Salty Talk. Salty Foods. Most salty foods are considered low quality snack foods like potato chips, french fries, pretzels, crackers etc. So why not add a pinch of salt to some healthy foods instead. I had this idea a few years ago and posted a Salted Apples recipe on this blog. Well now I'm in love with pink-salted cucumbers. Just a very very tiny sprinkle does it. 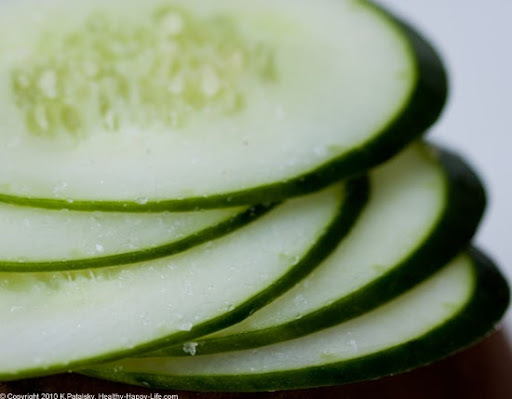 Think of them as cucumber "chips". 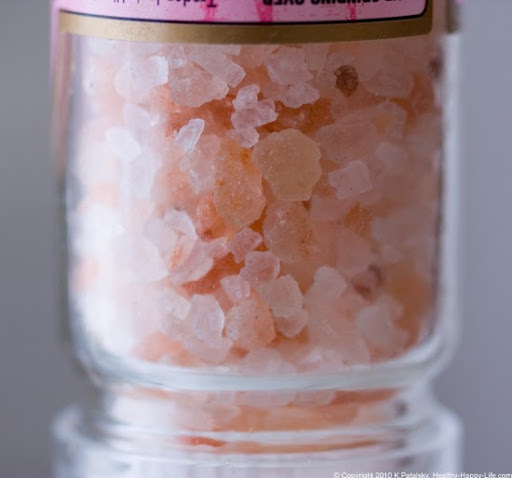 "TJ's Himalayan Pink Crystal Salt gets its soft pink color from the earth's elements." Sodium Content. 1/8 tsp provides 16% RDA of sodium. So use it lightly, but a little grind goes a long way. I actually prefer adding salt to salt-free foods like fruits and veggies - because then I control how much salt goes on. Salty Sandwich. OK, so you might read this recipe and have a "huh?" moment. But trust me, it's delish. 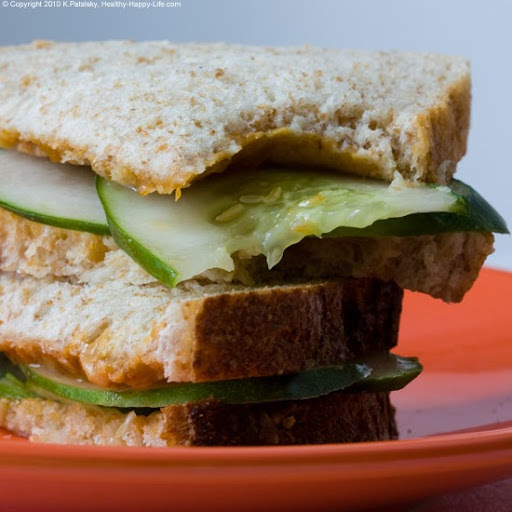 I was making myself a peanut butter and apricot jam sandwich on whole wheat with a side of my pink salted cucumbers. 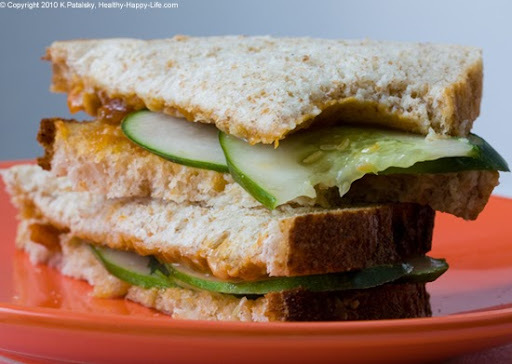 I decided to just cram the cucumbers in the sandwich - and it turned out to be super refreshing. 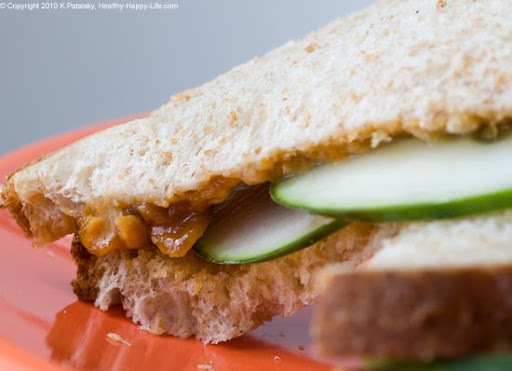 The Flavors: A juicy crunch from the hydrating cucumbers, paired with the sticky sweetness of the apricot jam and a nice silky buttery flavor from the peanut butter. 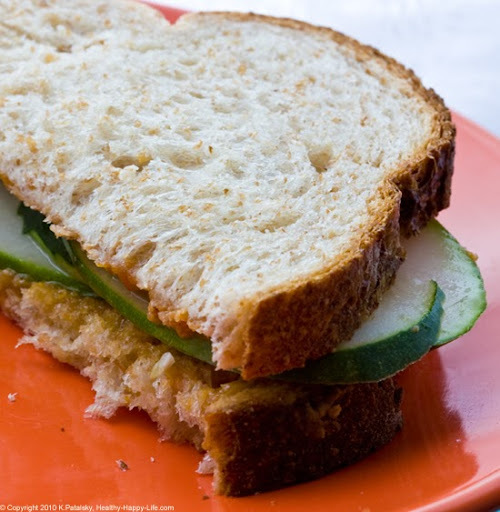 Give it a try, it's definitely a new twist on your traditional pb&j sandwich!.. 1. Spread your pb and jam on your bread slices. 2. 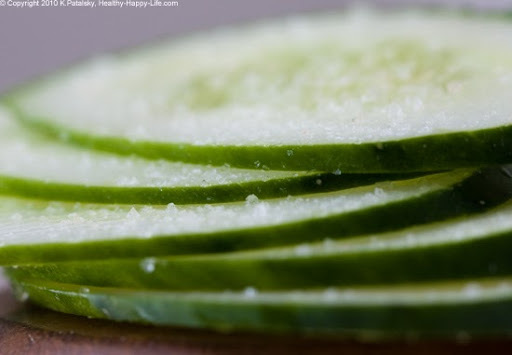 Slice your cucumber - thin. 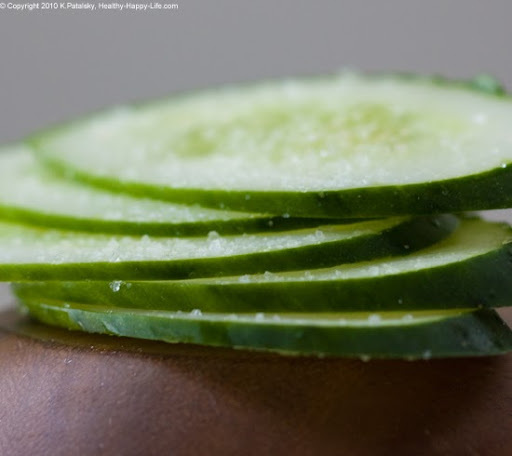 Add a light grind of pink salt over top your cucumbers. Add them to your sandwich.